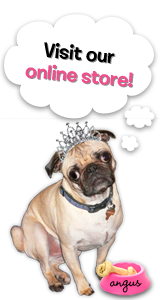 The Rubber Cafe Design Team Blog: Live, Love, Bark! 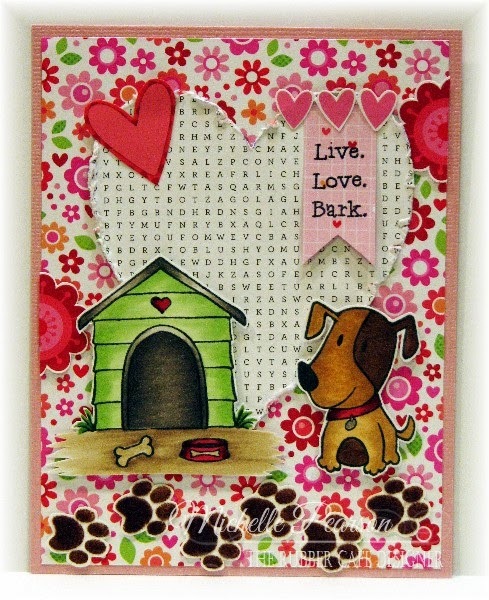 Ooh, I couldn't let one more flocking idea get away on me...for this cute card I flocked the pup's footprints! I stamped them with brown ink and then I used the Scrap Happy Sheer Glue and the Detailer Kit to add glue to each paw before flocking. Once the glue dried, I did cut it out. I had thought about just stamping on the designer paper, but decided that on white paper the paws would pop just a bit more. They are quick and easy to cut if you remember to turn the paper and not your scissors when you cut. I used the heart from a prior card and distressed the edges. My other elements are cut from the desginer paper included in the kit...such a happy little collection! The images are colored with Copic Markers and then popped up on foam tape for dimension.